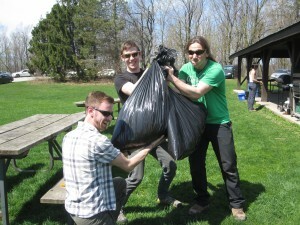 On May 2nd, local climbers worked with Conservation Halton to make the OAC’s annual Crag Stewardship Day happen. 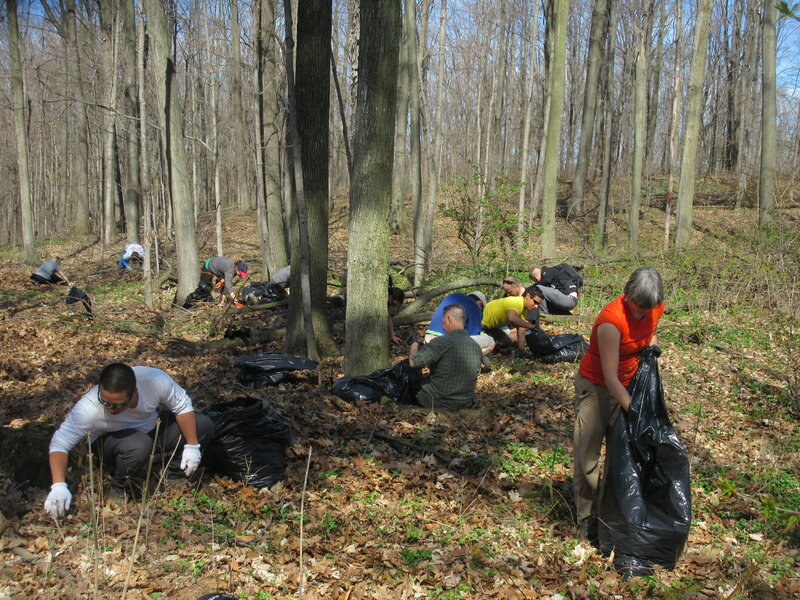 Over 60 eager stewards gathered under beautiful sunny skies at Rattlesnake Point Conversation Area to help eradicate the invasive alien species garlic mustard, and to help clean up the area. Brenda, Conservation Halton ecologist, helped participants learn to identify the vile weed and understand its nefarious effects. She described its invasion tactics in great detail: its roots emit a chemical that inhibits the growth of other species, like trilliums. 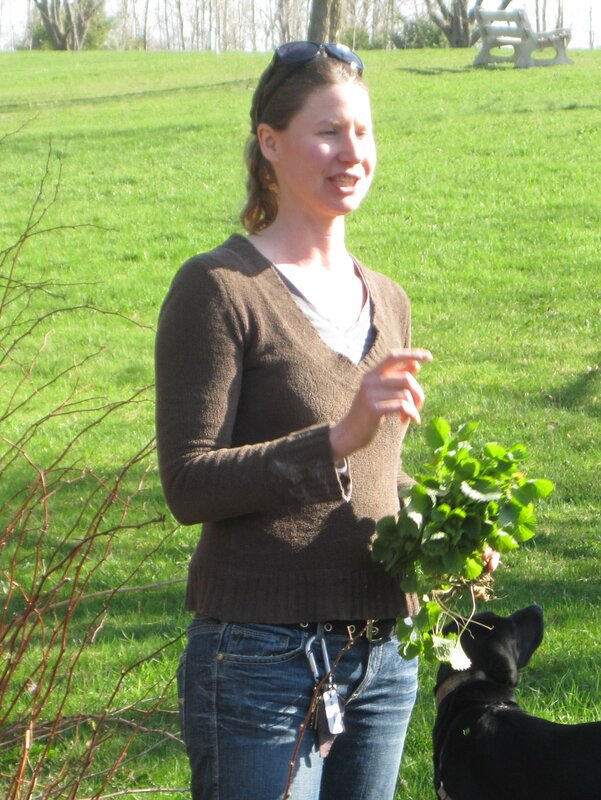 Climbers can help by picking garlic mustard before it drops its seeds. Conservation Halton staff have been pleased to observe that our continued efforts have made an impact on the garlic mustard problem. This was further reinforced by one participant, who commented on the noticeable reduction in the area we have been working on, after not having participated in last year’s event. 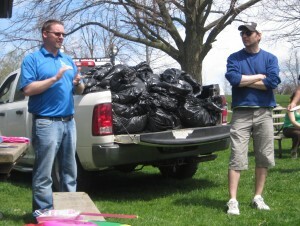 After a few hours of work, filling the back of a truck with bags of garlic mustard, the participants gathered for a free barbecue courtesy of the OAC. 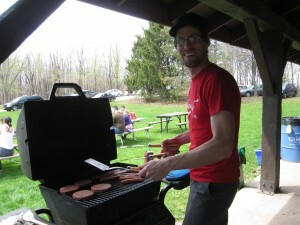 Everyone ate their fill of hamburgers, hotdogs and fresh salads. While lunch digested, the OAC presented our past successes (Old Baldy purchase) and ongoing projects (the upcoming Beaver Valley Climbing Festival). As further thanks to the participants, we raffled a pile of great prizes. Prize sponsors included Mountain Equipment Co-op, The Toronto Section of the Alpine Club of Canada, Conservation Halton, The Rock Oasis, Columbia Sportswear, Outland Adventure Gear, and Ice Climbing Team Canada. 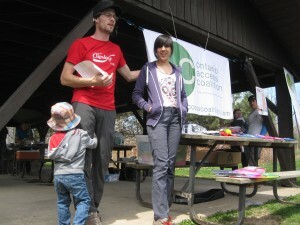 Some lucky winners even walked away with OAC T-shirts! Conversation Halton has been a decades-long supporter of rock climbing and of the OAC since its inception. Other land managers and conservation authorities in the province look at the model of our great relationship in crafting their own management plans. This annual event is a great way for climbers to give back, and say thank you to Conservation Halton for their continued support. 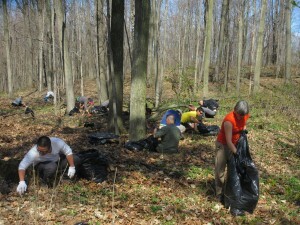 Once again, thanks to climbers for helping out, and we look forward to the 2016 Crag Stewardship Day!